Pepper is the strong-smelling dried berry of a tropical shrub, used as a spice. The waiter added freshly ground black pepper to Alice's salad. Jim put salt and pepper in his soup. Pepper is also a plant, and the fruit of this plant used as food. There are different types, some of them mild and some of them very spicy. 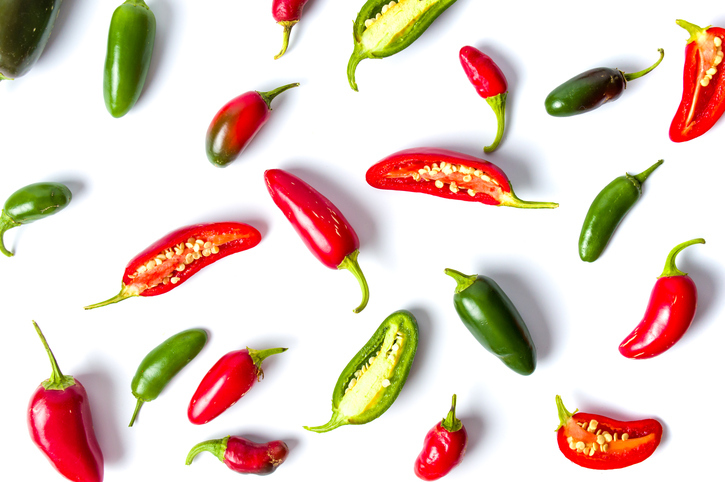 Jalapeno pepper is an ingredient in Mexican dishes. Grandma's stuffed pepper recipe is a favorite with her family. The chef peppered the stew. The side of the ship was peppered with gunshot. The speaker peppered his talk with the names of his famous friends. If you see a brunet man whose hair is turning grey, you can say he has salt and pepper hair. But don’t say it too loudly; he may be sensitive about growing old. Many people think that Sgt. Pepper’s Lonely Hearts Club Band was the Beatles’ best album. Enjoy the title song. There are other meanings of pepper.